A quiet life. An almost uneventful life. A nondescript life. On this day in 1852, Martha Jane “Mattie” Mercer was born to Amos Windham Mercer and Amanda Sylvester. She was somewhere in the middle of a dozen kids, 8 boys and 4 girls. Her father was 52 years of age when she was born. Her mother was 23. Hmmm. The family made their home in Clarke County, Mississippi, and Mattie lived her entire life there. At the age of 21, she married Andrew Jackson “Jack” Crane on 4 Dec 1873 and had three children: Ella Jane 1874, Minnie Lee 1878, and my great grandpa Amos Bolivar 1881. There is nothing outstanding in the genealogy records – no loss of large numbers of family members due to war or disease, no records of still-born infants, no legal records of incarceration, no newspaper clippings, no higher education, nothing out of the ordinary. It seems she lived a quiet life in the same small town she was born into. 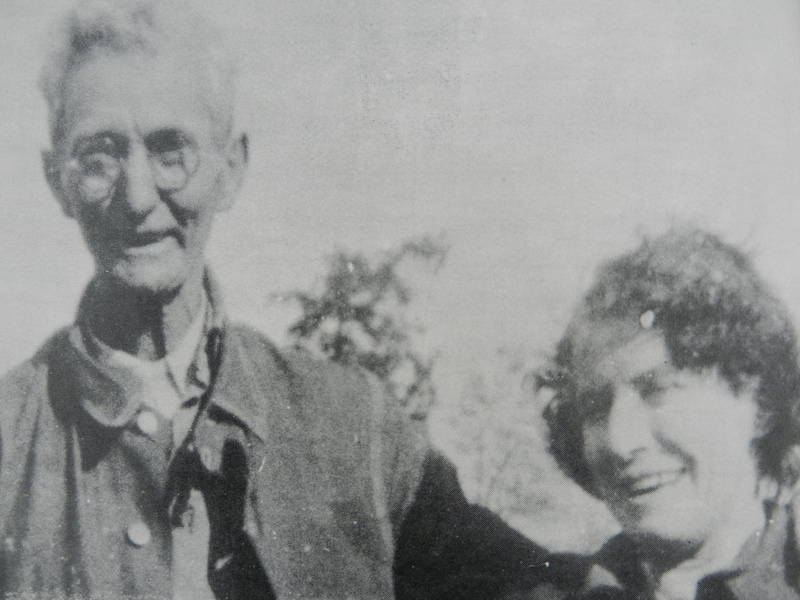 After 32 years of marriage, her husband died in 1905 at the age of 53. The subsequent census records show she lived with her daughter Ella, where she remained for the rest of her life. She never remarried. She died at the age of 93 on 28 Nov 1945. She is laid to rest at McGowan Chapel Cemetery in Clarke County, Mississippi, just down the road from her home. Even her tombstone is nondescript, only referring to her at Mrs. A. J. Crane. Rest in peace, Grandma Mattie. On This Day in 1828, my 3rd great grandpa Jeremiah William Crane Jr was born. He was born March 17 to Jeremiah William Crane Sr and Mary “Polly” Weldon in Alabama. He was the last of eight children who were born between 1798 and 1828. And, yes, they were celebrating St Patrick’s day around the world on that day. Places like New York and Boston were already hosting parades. During the turn of the century in Alabama, the Creek Indians were in the middle of a civil war, as well as fighting off the white men who were encroaching on Indian territory. The War of 1812 in the North was a fight between the British and the Americans, battling over waterways and trade routes. The War of 1812 in the South was between the Americans trying to expand their newly formed nation and the Indians who were armed by the British. The Mississippi Militia was formed across the Mississippi Territory to battle the Indians. At the time the Mississippi Territory encompassed all of Mississippi and Alabama. Alabama didn’t become a state until 1819. In 1830, the Treaty of Dancing Rabbit Creek was signed and was the first step in the removal of the Indians from the area. The American government began selling parcels of land quickly to get the area settled, and people soon began moving west from Alabama into Mississippi. At the time of the treaty, Jeremiah was only two, but his family had certainly witnessed great war and great change before he came along. His father had actually enlisted and served in Carson’s Regiment in the Mississippi Militia in 1814, but he only served for two months. I assume things in the area calmed down a bit by the time Jeremiah became a man. I don’t have an official record of his marriage, but he was married to Sarah Frances Grimes, who was about four years his senior. They had their first child, a daughter whom they named Francis, in Alabama in 1847. Jeremiah was 18. The whole family moved across the border into Mississippi during the next year, and this is where Jeremiah and Sarah’s second daughter, Emily, was born in 1848. Their third child was a son, George William Crane, in 1850, and all were residents of Clarke County, Mississippi in the 1850 census. In 1852, they had my 2nd great grandfather Andrew Jackson “Jack” Crane, and in 1856, a daughter, Jerry Elizabeth. After the birth of Jerry Elizabeth, there are no further records of Jeremiah. The 1860 census shows Sarah living alone with the children- Francis, Emily, GW, Jack, and Jerry, but there is no husband listed. Above and below their names on the census are many of Jeremiah’s brothers with wives and families, and Jeremiah’s parents. They are all listed as farmers. Next to Sarah’s name, the occupation space is blank. I don’t know what happened to Jeremiah, but he died somewhere between the ages of 28 and 32. The 1860 census states his wife was now 36 and his children were between the ages of 4 and 13. Whatever happened to him, I hope he’s resting in peace. Happy birthday, Grandpa Jeremiah William Crane! On This Day in 1836 my 3rd great grandmother Sarah Ann Elvira Dollar was born. Don’t you find the name “Dollar” to be a little strange? Well, her father was Ambrose Dollar, her grandfather was Reuben Dollar who came to America from Wales and fought in the Revolution, and her great grandfather was Edward Dolier – probably French Doh-lee-AY or Irish D’Olier. Either one of those makes more sense than Dollar. Sarah Ann’s mother was Jemima Clearman, whose father was Jacob Van Clearman, whose father was John William Clearman from Germany. Well, that’s just a crazy European mix, isn’t it? Let’s go back to her dad’s side for just a moment. This is the transcription of the sworn statement of Dr. J.M. Dollar, the great grandson of Reuben Dollar. This is to certify that my great grandfather Reuben Dollar told me of fighting in the Revolutionary War when I was a boy. He came from Wales and fought in the war. He returned to Wales and was disinherited by his father for having fought against the British Crown. After which he returned to America and settled in Edgefield S.C. He died in Miss. in 1858 at the age of 113 years. I find these old records fascinating!! She was the 6th born of 8 children, half boys, half girls. She was born March 11, 1836 in Pickens County, Alabama. Pickens County is right on the Mississippi border, and at some point between 1840 and 1850, the family moved west to Mississippi. At the age of 17, on October 6, 1853, she married William Lafayette Brown, Jr. in Lauderdale County, Mississippi. Keep in mind, the above Patriot grandfather was still alive until 1858 and died in Lauderdale County, Mississippi, so he might have been living with them. If not living with Sarah Ann and her husband, at least with a nearby family member. Sarah Ann gave birth to her first child at the age of 18, James Floyd Brown in 1854. He was followed by John Ambus Brown in 1857, Angeline Brown in 1859, William Harrison Brown in 1860, Sarah Elizabeth “Bettie” Brown in 1862, Warren Brown in 1865, Franklin Carlton Brown in 1867, Charles Berry Brown in 1871, Pinkney Earlie Brown in 1874, and Martha Catherine Brown in 1877. Do you notice anything strange about those birth dates? When the Civil War broke out in 1861, her husband was about 25 years old. Yes, he went to fight for the Confederacy. As a matter of fact, he was a sniper who guarded Mississippi bridges in the area. At one point, he was captured by the Union. He escaped. He went back and allowed himself to be captured again to help others escape, which he/they did. After that, he had a bounty on his head for the rest of the war. It doesn’t look like the war or the captures between 1861 and 1865 stopped him from visiting home at least a few times. Obviously he stopped by the house long enough for some hanky panky. The girl born in 1862 was my second great grandmother. Her birthday is the same day as mine, November 19. One thing for sure, these people didn’t back down from a challenge! I look forward to doing more research on the Dollars and Clearmans very soon. Sarah Ann died in Mississippi July 18, 1915 at the age of 79. Happy birthday, Grandma Sarah Ann!! This post brought to you by “On This Day,” a perpetual calendar for family genealogy. If you were born in 1921, 1933, 1945, 1957, 1969, 1981, 1993, or 2005, this is your year!! Not necessarily all good luck, but definitely a year of change and growth. The rooster is the sign of punctuality. Think of the real rooster, who awakens farmers with the rise of the sun. People born in the Year of the Rooster are honest and intelligent, and most are born naturally good looking. In the Chinese zodiac, January 28, 2017 begins the tenth of the twelve year cycle. Most people would think this year would bring good fortune to those born under the sign, but in truth, this year brings change. The question of luck depends on how you look at those changes. If you’re a rooster, you may face career changes this year. It won’t all be bad, but you’d be wise to put away a few dollars in case some months get a little tight during the transition. Your relationships will remain stable this year. And, health-wise, make sure you get your annual physical. Rooster folks have lucky numbers of 5, 7, and 9 and lucky colors of gold and brown. 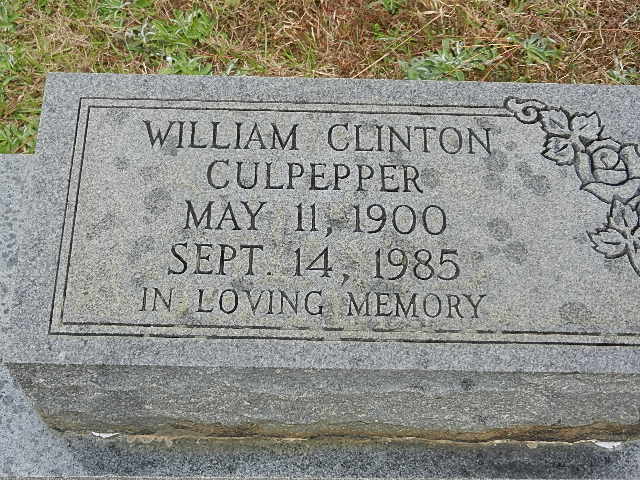 On This Day, September 14, 1985, William Clinton Culpepper died. Uncle Clinton, as he was known to me, was my great uncle, brother of my grandfather. 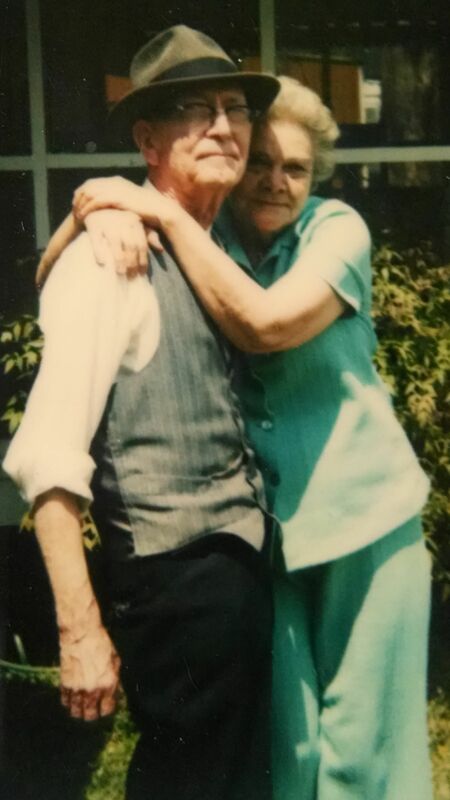 He lived next door to my grandparents and I have many fond memories of his kindness and love and especially his hugs. Clinton was born in Kemper County, MS on May 11, 1900 to William Samuel Culpepper and Annie Josephine Blanks (photo). He was the eldest of nine children totaling five boys and four girls. His father was a sawyer who followed the saw mill business, gone from home for great lengths of time, so the boys were taught to run the farm when their father was away. I imagine, being the eldest child, most of the responsibility fell to Clinton. In 1922, when Clinton was 22, he married Miss Eloise Snowden. Following the birth of their two daughters, Eloise came down with breast cancer. For a man who was used to running the family, Clinton took the illness terribly. He put a gun to his head and pulled the trigger. Eloise survived the illness and Clinton survived the gunshot wound, but he now had a severely reduced mental capacity, and their marriage couldn’t stand the strain. They divorced. In 1945, Clinton found love for the second time and married Miss Thelma Edna Annie Smith (photo). Again disaster struck. Thelma was diagnosed with breast cancer. Again Clinton put a gun to his head. Again they both survived the disasters. Thelma took care of Clinton for the rest of her life. She died 9 May 1984. Clinton died a year later 14 Sept 1985. They are both buried near Thelma’s parents in Mt. Pleasant Cemetery in DeKalb, Kemper County, MS. This post is brought to you by On This Day: A Perpetual Calendar for Family Genealogy.